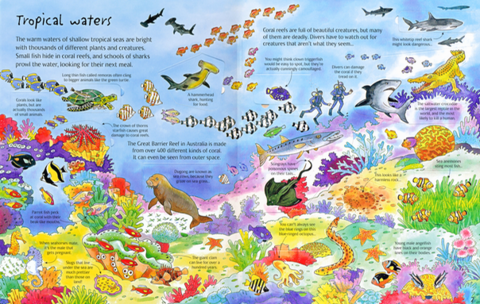 A fabulous flap book with over 80 flaps to lift and extra pages to open up to explore life under the sea. 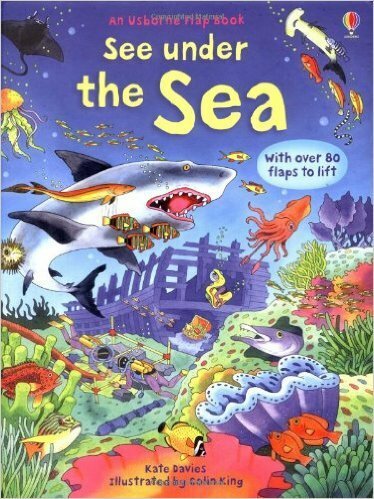 Shows coral reefs teeming with fish, the icy waters of the Arctic and the dizzying depths of ocean trenches, and shipwrecks and pirate booty too. Flaps reveal extra facts, information and surprises.